Ever wonder if you’re reaching your real targets on Twitter? Did that political comment just see you slammed by an unusually high number of followers? Or non-followers for that matter? What about that guy you once followed, with two hundred other followers, now suddenly has 100,000 followers? No, it can’t possibly be real, and it isn’t. As much as 15 percent of Twitter is fake. After the University of Southern California and University of Indiana discovered the whopping percentage of botoxed Twitter accounts, Twitter’s CEO Jack Dorsey has been asked for a please explain. Around this time last year, I wrote about Twitter monitoring hashtags on behalf of agencies to predict our future protests. The grant was funded by the US Office of Naval Research. The study tracked how a crisis manifests on social media and how we react. Did the hashtag trend or was it just heat of the moment dynamics? The prediction tool, in the end, had a 70 percent accuracy of who would participate in a protest. Almost to the day, twelve months later, it has been revealed that these 48 million bots can, and most certainly do, have a large impact on trends, what news we see and what news is silenced – going hand in hand with the previous study, neatly complimenting it. The bots are perpetuating propaganda at lightning speed. Using these bots – which equates to a population larger than most nations around the world – news is swayed and determined, creating a perception that most likely is fake. Barrett Brown, only last month, discussed his discovery of something similar before he was landed in prison. The ‘Persona Management’ he says is the more disturbing means of controlling public opinion and public consciousness. The Persona Management shares striking similarities with these bots, where the US Airforce had software designed to employ a methodology where by “a single person sitting at a desk could control say 10 to 20 fake online people with names, backgrounds, histories; the software facilitates their conversations day to day,” Brown said. It is this use of software that can drive our media coverage and alter public perceptions. Again, pushing propaganda. So, the US Navy commissioned a tool to track our protests and the US Airforce funds software to mimic real people. Are you seeing a pattern yet? It isn’t a far stretch to consider a lot of these bots at work aren’t for our benefit. 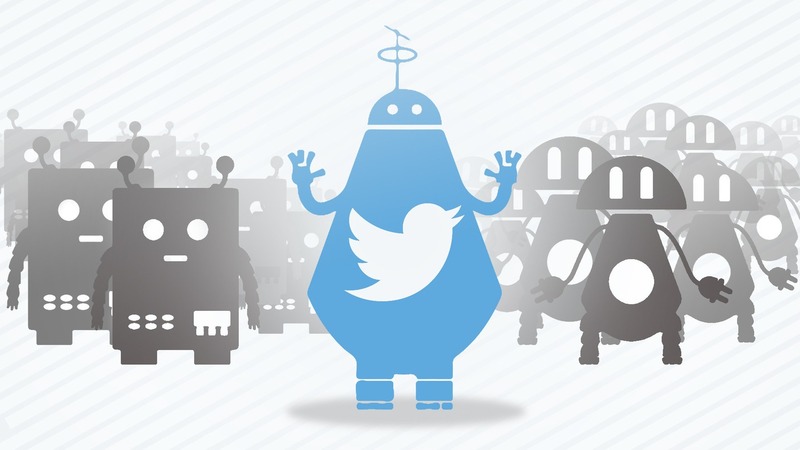 Although it isn’t difficult to purchase these bots on Twitter – everyone has seen the ‘get new followers for five bucks’ profile – these purchasable bots are far less intelligent and complex than those the intelligence agencies have access to and employ. It also makes it difficult as a serious Twitter participant to understand if any news trending is truly organic. If a company controlling the bots deems the news fit, it isn’t difficult to have it rise to the Twitter top of your feed. Twitter has faced criticism in the past over its censorship. Dorsey now must explain away the ‘bot scandal’ aptly named by disgruntled investors. It’ll be interesting to see what is said. Needless to say, we live in uncertain times where the murky waters of media truths have just gotten darker. There are two ways to combat this: block the accounts that are eggs, for a start. Actively voice your opinion on Twitter, to drown out the bots, secondly. And next time you have a WTF moment on Twitter about the content you’re viewing, consider the bots instead. This article (48 Million Reasons Why Twitter is Pushing Media Propaganda Agenda) is a free and open source. You have permission to republish this article under a Creative Commons license with attribution to Aral Bereux and DNewsHQ. There are bot accounts on WordPress as well.